The OnFarm Grower Dashboard™ is home to all your farming information. The customizable dashboard enables you to focus on information that is important to you while we track conditions, alerting you to important changes as they happen. OnFarm automatically manage your data simply and efficiently. We’ll setup your data and walk you through adding new information to your dashboards. Once setup, your data is automatically updated for you. Sometimes you need to get into the proverbial weeds. 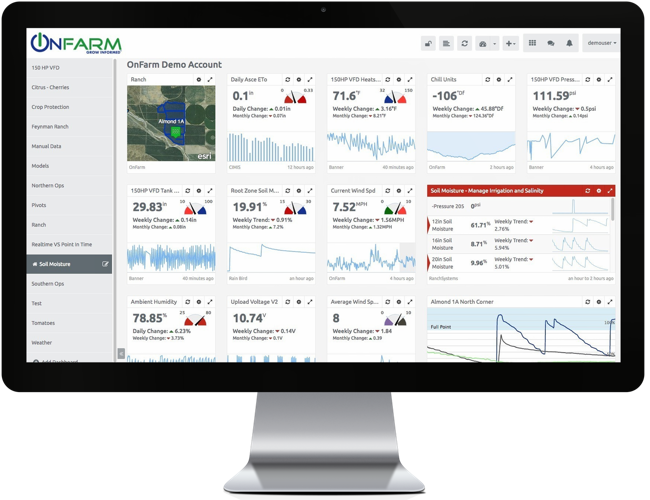 OnFarm supports you by providing data analytics and interactive charting that help you spot and adjust to trends that effect your crops.